If you're looking for somewhere to eat in Huddersfield that serves wholesome food, has an electric atmosphere and some of the best 2-4-1 cocktails in town, then look no further than Turtle Bay. Turtle Bay Huddersfield opened back in October 2015 and ever since the restaurant and bar has been a hit with the locals and those visiting the area. The interior is bright and lively with a Caribbean vibe, the staff are down to earth and knowledgeable about their cocktails and the food is comforting and full of flavour. It's the perfect place to relax with a few friends and soak up the Jamaican spirit. Recently I was invited down to Turtle Bay to sample one of their latest offerings, a rum masterclass. During the rum masterclass we were able to sample several different types of neat rums and then take turns in a friendly competition to make some of the cocktails from the Turtle Bay menu. As Turtle Bay is a Caribbean restaurant and bar, rum is at the heart of the most of the drinks on the cocktail list. 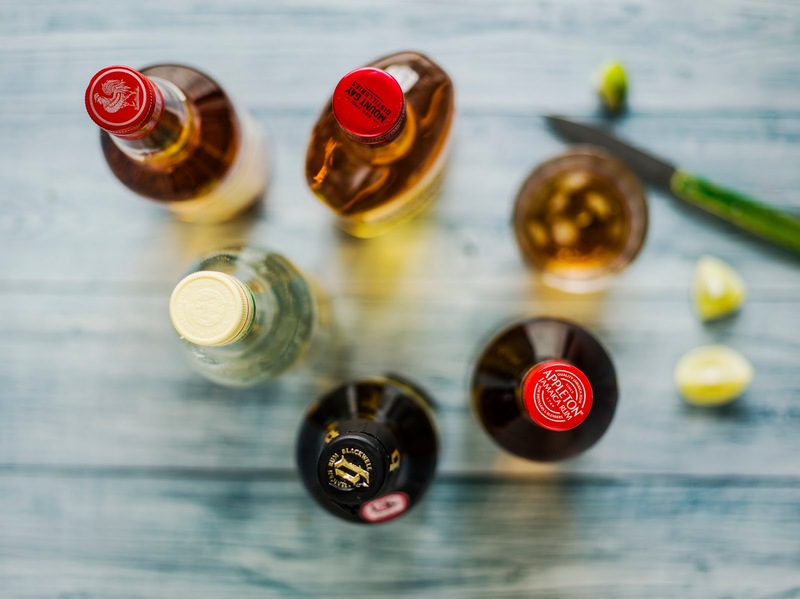 The restaurant has more than 40 Caribbean rums stocked behind the bar covering the full breadth of the Caribbean - from Mount Gay's Bajan to Appleton Estate's Jamaican rum to everything in between. Before starting the masterclass, we lined our stomachs with a platter of Turtle Bay's best starters. This included my favourite sweetcorn fritters - which are made up of spring onion, coriander, scotch bonnet and sweet corn mixed together with West Indian hot sauce, hot hot pepper roti, garlic 'n' herb flatbread and jerk chicken wings for those who eat meat. The masterclass lasted around 2 hours and during this time we were given talks of a number of the rums that Turtle Bay have to offer - detailing their history and what they are typically paired with. We were then given a shot of 5-6 different white and dark rums to help us differentiate the tastes. Rum isn't usually my spirit of choice unless it is in a cocktail, but it was great learning about them and I was surprised by how many I actually liked in the end - I left the event feeling like rum connoisseur for the evening. Once we had tested all the straight rum, our attention was turned to cocktail making. Each of us (there was five in each team) took turns against an opponent team to make a cocktail from the Turtle Bay menu to learn more about the cocktail process and the rum which goes into each drink. The cocktails included the vanilla and passionfruit mojito - which is my favourite and the one I got to make, a mai tai and a beachcomber's zombie. It was a lot of fun and something that made us admire the Turtle Bay staff even more as they make hundreds of these cocktails a week. I really enjoyed the Turtle Bay masterclass - it was really fun and the staff put a lot of effort into it. It was great testing out a variety of rum and spending time with my friends. It was possible one of the best masterclasses I have attended. Have you been on a rum masterclass before? What an amazing experience! My husband loves testing out different types of rum, so I know he would love something like this. I have been trying to reach for ages. Did you get my emails?